Simple things you can do to protect yourself from ID theft before it happens. Identity theft is the country’s fastest growing crime. It’s important to take precautions and reduce your risk of becoming a victim of identity theft. Try to work these simple routines into your schedule. First we’ll discuss things you can do today, then daily, monthly, and yearly maintenance. Prevention is more important than the cure. Look at what’s in your wallet. Take out things you don’t need. Remove yourself from various marketing lists. The less personal information you have out there, the lower your risk of losing your identity. Your wallet should only have the things you need, such as: your driver’s license, cash, and a few credit cards. Do not carry your social security card or pin number in your wallet. If your wallet is lost or stolen, you have minimized the amount of information a thief may steal from you. Do an inventory of your wallet and purse. If someone steals your wallet or purse, you should know what personal information they will have access to. The wallet and purse inventory will help you maintain records of your personal and financial information. Keep this inventory in a safe place; do not keep it in your wallet or purse. Remove your name from the credit report agencies’s marketing lists. Call (888) 5OPTOUT. This will limit the amount of pre-approved credit card offers that you receive. Sign up for the Do Not Call Registry online at www.donotcall.gov or call (888) 382-1222. Your phone number will be added to the exclusion list used by telemarketers. This will limit the telemarketing calls you receive. Contact your bank and credit card companies. Write to them to opt-out of the sale and sharing of your personal and financial information. Consider the things you do on a regular basis, like getting money from the ATM, buying things online, writing a check at the grocery store, and mailing your bills. Chances are you don’t give these everyday transactions much thought, but an identity thief does. Being aware of your surrounding can minimize your risk. Here are a few simple things you can do to get an identity thief off your trail. Shred bank and credit card statements, as well as pre-approved credit offers. Identity thieves are not afraid to get their hands dirty by digging through your trash. You don’t want them to find your personal information. Be careful with mail. Collect your mail right away and don’t mail bill payments from home. Thieves can take your mail and your financial information with it. Always take your receipts. Don’t leave ATM, credit card or gas station receipts behind. Don’t give out personal financial information over the phone, mail, or Internet unless you initiated the contact. Be aware of your surrounding. Identity thieves like to look over your shoulder when you’re using an ATM or conducting financial business on your home computer or laptop. Be extra careful if you use your laptop in a public place. Be careful with e-mail. Identity thieves like to send you e-mails that look just like the ones you might receive from your own bank or credit card company. These emails ask you to verify your information by sending your Social Security number, driver’s license number or other personal financial information. 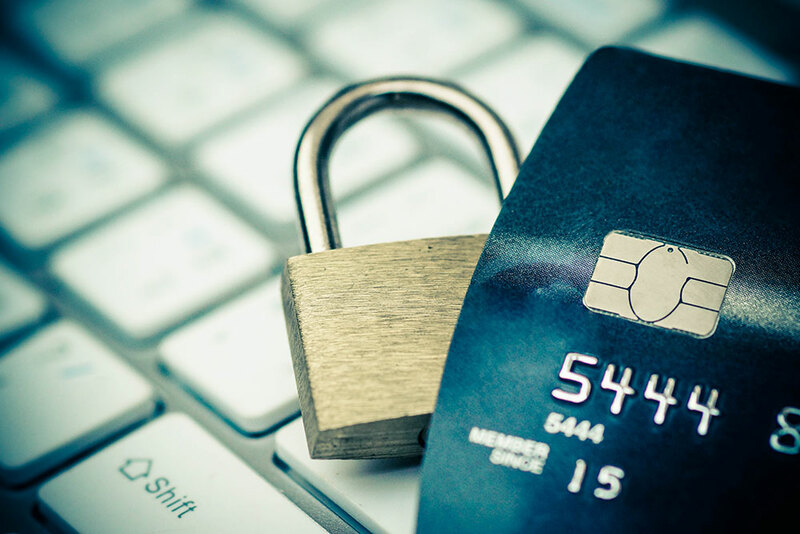 Be aware that your bank and credit card company will not ask you for personal information by e-mail. If you get one of these emails, call your bank and talk to them directly. Check monthly credit card statements for charges you did not make. Review the statements as soon as you receive them to make sure no one else is using your accounts. If you do not receive your statement or there are charges that you did not make, contact the bank immediately. You can get a free credit report every 12 months from each of the three main credit reporting agencies: Equifax, Experian, and Trans Union. You can ask for reports from all three credit reporting agencies at the same time, or order them one-by-one during the year. If you order just one every four months, you will have a free credit report all year long. Order a copy of your credit report every year. By regularly checking your report, you can make sure that no one else has been using your credit. This will help you find identity theft before it is too late.